Kate grew up at the foot of the Sandia Mountains in New Mexico, and desert textures subtly sculpt her music. A deeply resonant, unique vocal quality, atypical chord progressions, and compelling and intelligent lyrics combine to conjure comparisons to artists as varied as PJ Harvey, Lucinda Williams, Tom Waits, and Nick Cave. A former high-school teacher, Kate had an awakening in 2005 that led her to dedicate herself to music full time. A former high-school teacher, Kate had an awakening in 2005 that led her to dedicate herself to music full time. She traded in her car for a van, overhauled her mother's classic 1963 Gibson steel?string acoustic, and started playing coffeehouses, dive bars, and farmers' markets. 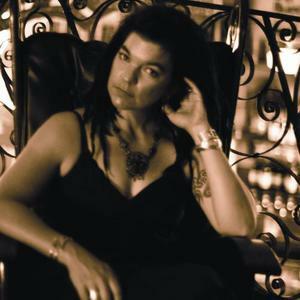 Her unique brand of moody Americana has been cultivating a loyal local fan base, and she is continuing the trend regionally with performances throughout the western states.